As of now you all must be really happy by the Apple event held on 9th in which Apple gave an in depth description of everything that needs to be known about its Apple Watch. There are rumors that the next edition of the Apple watch is already in the making and from what we’ve heard it’s supposed to be a Platinum model. These may just be rumors but it is evident that there will be a new model with a much bigger price tag that will be targeted at Apple’s high end consumer market. 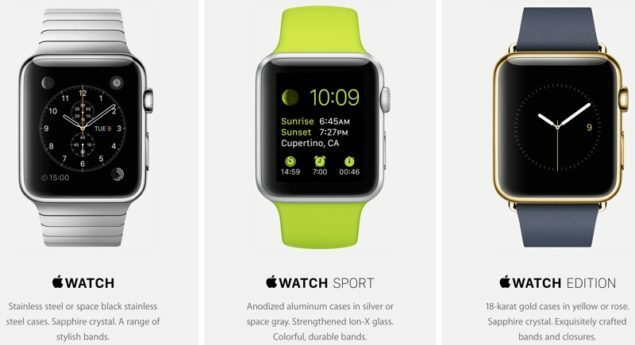 The Apple watches will be on sale starting next month and they will be available in Anodized Aluminum, Stainless Steel and Gold casings, depending on how deep your pockets are. It seems that after these models there will be a Platinum one, the same material used by luxury watch makers like Rolex, and these were stated by the Wall Street Journal. It is still uncertain when this will happen but it is likely to be soon, and it should be noted that the watches launched will be the first edition of the Apple watch and everyone should bear in mind that there will obviously be much greater improvements in the near future. It is already known that rubber, leather and stainless steel straps are up for grabs with the new watch but there are also talks about a gold link bracelet strap that we may see and which will look good, for those who can afford them. If this gold strap is unveiled it will push the price of the top end Apple Watch to a staggering US$ 20,000 this will obviously not be within reach of the average buyer. 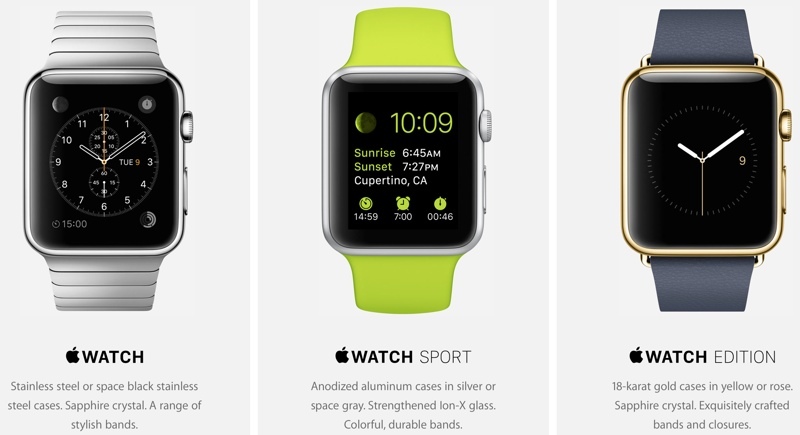 Just how much other various versions of the watch will cost still remains an unknown thing about the device. For more details about the event follow this article.